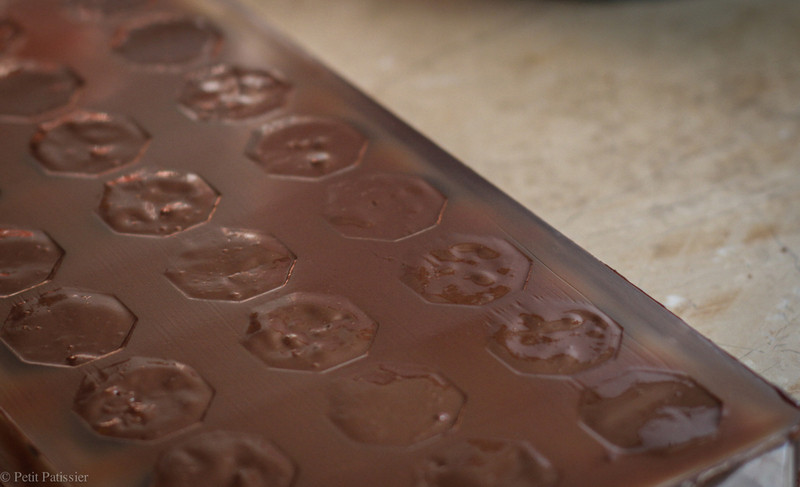 The first ever pralines were crafted in the 17th century and to date they remain amazing treat on any table. Lime & Cracker Crust Pralines will deliver a light chocolate taste and will kick with the lime flavour after the firs bite. 1. For the cracker crust: crash corn flakes (or feuilletine) to small pieces, melt the chocolate and combine it with the crashed corn flakes. 2. Spread the mixture on top of the parchment paper (or acetate sheet ). Using a rolling pin, roll the mixture to smooth layer about 1-2mm thick. Let set up to 10 min until it is partly set but can still be cut easy. 3. Use a round cutter Ø 2cm and cut crust (or use knife to cut 15mm square shapes ) 24 pcs in total. 4. Place the crackers in the fridge for about 5 minutes to set completely. 2. 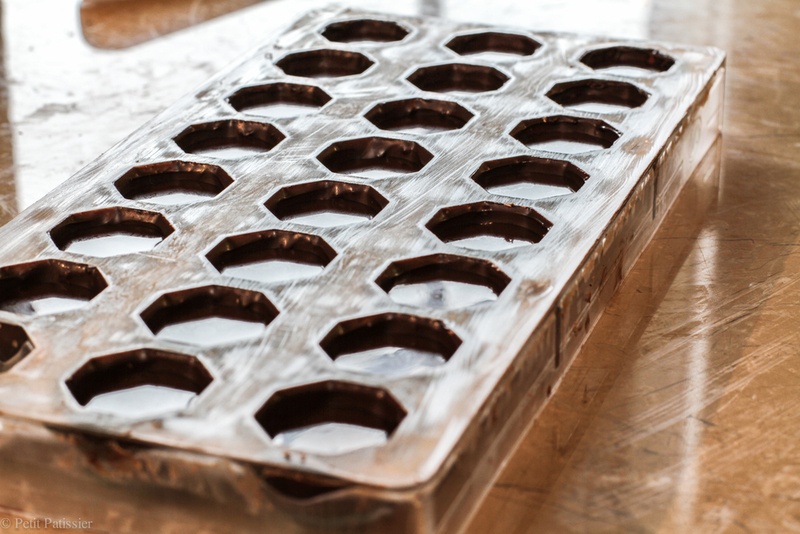 Cast the mold with the dark tempered chocolate, let to set. 3. In the pot bring the cream, butter and sugar to boil over medium heat. 4. Combine the inverted sugar and milk chocolate chips. 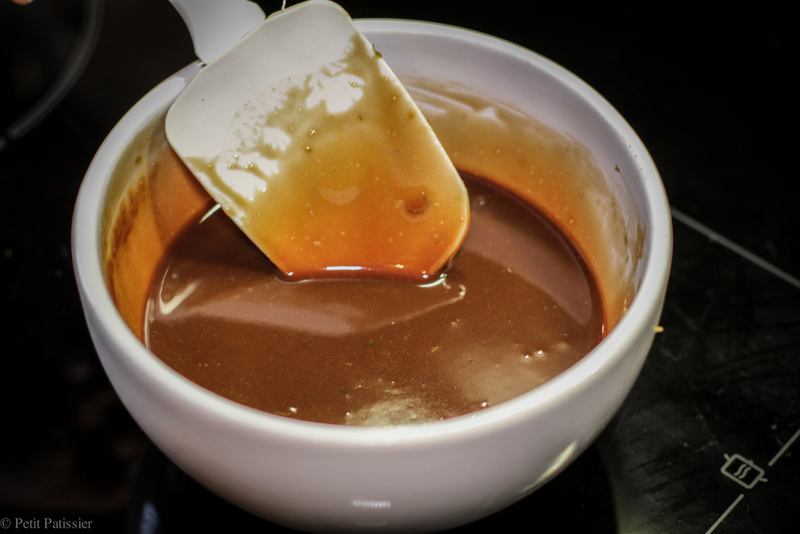 Pour the hot cream mixture over the chocolate mixture and stir. 5. Add the melted cacao butter. 6. Stir in the lime juice and lime zest into a smooth mixture. cover with plastic wrap and let cool to 28C. 7. When the mixture reach 28C, place in the piping bag and pipe into the prepared mold leaving enough of space for the crust. 8. Place one cracker on top of the piped ganache in each cavity, let it set over night at room temperature. 9. Once the ganace is completely set, cap with the dark tempered chocolate. Place in the fridge for 3-5 minutes to set. 10. 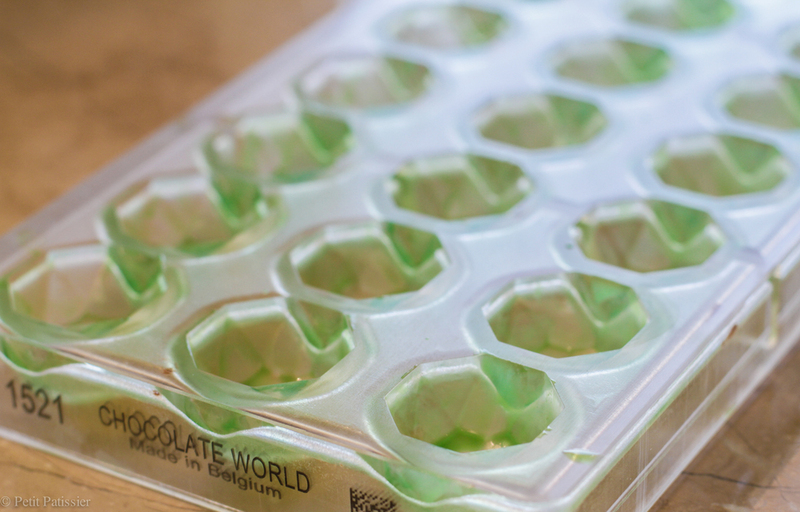 Tap the mold on the table to release the chocolates. Store in the airtight container at the 14-18C in the dark, dry place.